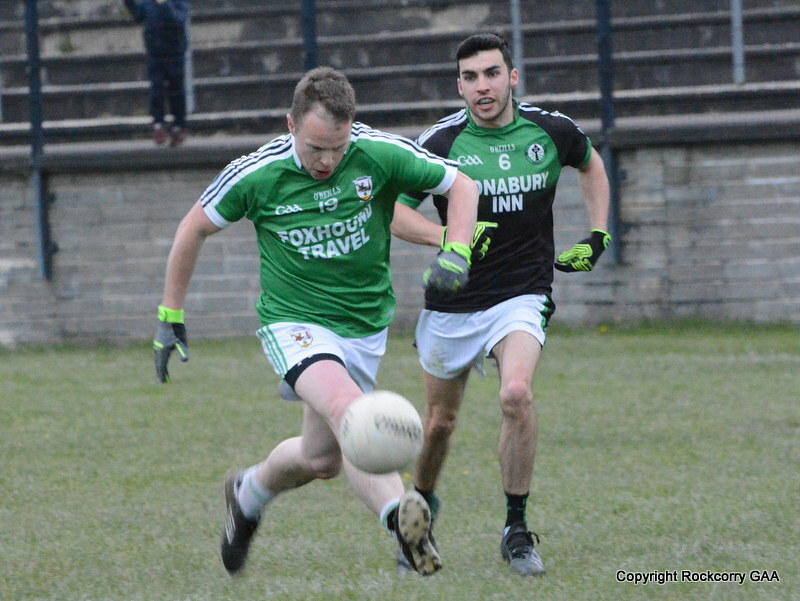 The latest installment of the football rivalry between the Rockcorry and Latton clubs took place last Sunday 5th May when they went head to head in the Drumlin Credit Union senior football league. It was our first official home match in the senior league campaign and unfortunately it wasn’t a spectacle to savour, but that hardly bothered Latton! As the score-line suggests this was a comfortable victory for the O’Rahilly’s side who from an early stage controlled the game and played some sweet attacking football to secure the spoils with a clean cut victory on a final score-line Rockcorry 2-9 Latton 3-17. 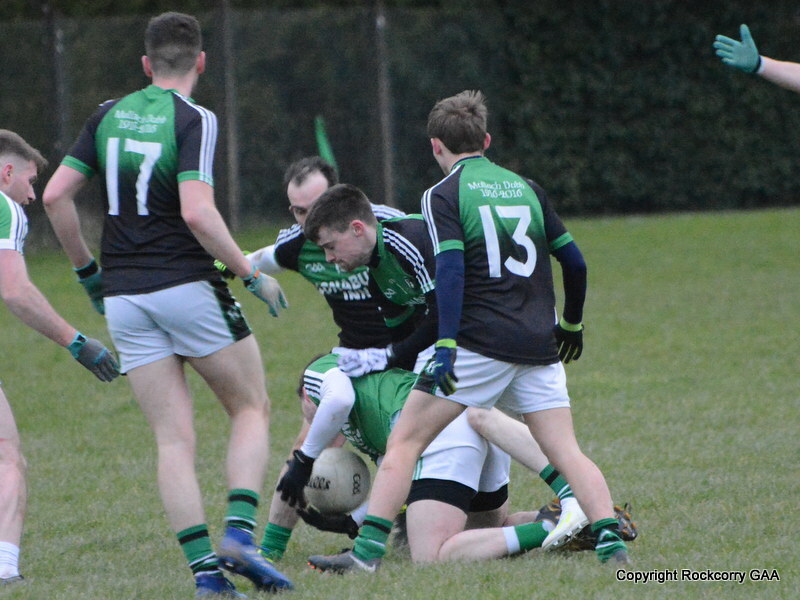 Looking back at the match we were simply not at the races for large parts of the game and the determination and character that we saw mid-week against Castleblayney was not evident as latton rolled over our rather murky performance to claim a comfortable win. A full match report and a selection of action photographs can be viewed at www.rockcorrygaa.ie or you can visit our Facebook page. The senior team our back in action this Sunday 12th May when they travel to play Carrickmacross at 4.00pm. They have a home game on Sunday 19th May against Ballybay at 2.00pm and on Wednesday 22nd May they make the journey to take on Clontibret at 8pm. 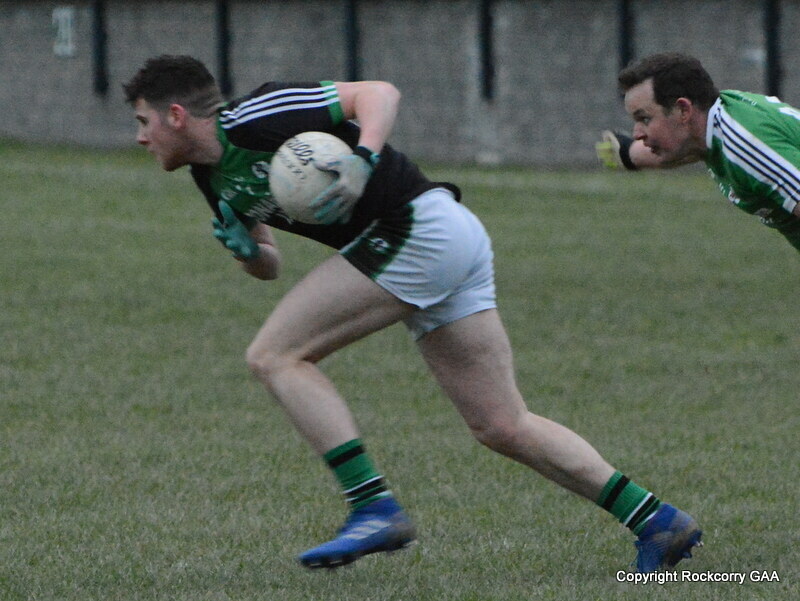 The next outing for the reserve team in the league competition is tomorrow evening Friday 10th May when they travel to play Castleblayney at 7.45pm. 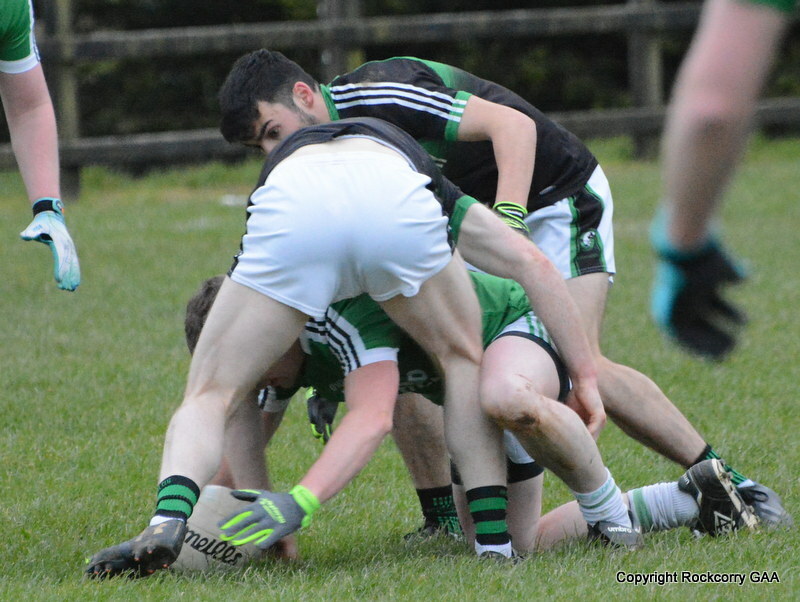 They are on the road again on Wednesday 15th May when they make the journey to take on Truagh at 7.45pm. Last Saturday 4th May, Pairc Naomh Mhuire was transformed into a hive of activity because there was an amazing turnout of kids, their parents and even some grannies as they all gathered to take part in the Guinness World Record attempt for the largest 3-legged race. Our club chairman, Jimmy McGeough was the official race starter and it got underway promptly at 11.30am and while most pairs sprinted down the field with considerable ease others seemed to find the going tough with co-ordination being a major problem but thankfully they managed to complete the 100 metres requirement and thereby achieving history and becoming a World Record holder.Mark Daly, a member of An Garda Siochana, was our independent witness and after the race he presented participants with a certificate confirming that they successfully took part and completed the World’s largest 3-legged race and many thanks to Mark for his time. On behalf of the club I would like to thank everybody who came out on the day to take part in the race and everyone who supported the event. You can all feel good about yourselves that you are now a Guinness World Record holder. This Saturday 11th May the under 12 footballers will play Cremartin in the Spring League finals day at Clogan. The game has a throw-in time of 11.00am and it would be great to see some support for these youngsters as they set out to claim their first price of silverware. Our under fourteen team travelled a short distance to play Aghabog in the Gerry’s Prepared Veg Division 4 league on Saturday 4th May. Getting points in Aghabog is never an easy undertaking, at any level, and the task became that much harder when sadly we could only field ten players. 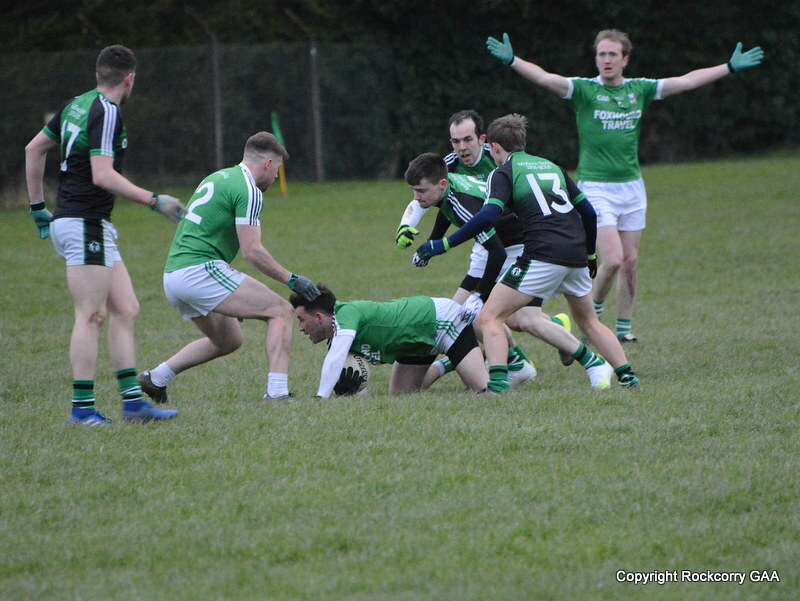 On what was a perfect day for football our lads tried hard, competed well and showed plenty of spirit in a highly entertaining match but as the game progressed the extra man took its toll as Aghabog rallied and secured a comprehensive win on a score-line 8-23 to 4-8. The under 14 footballers are back in action this Saturday 18th May when they play Killeevan at Pairc Naomh Mhuire at 12 noon. The draw for the fabulous suite of bedroom furniture, kindly sponsored by the Maple Bar, took place last night, Sunday 5th May, in the Maple Bar and congratulations to Sinead Daly from Ballyshannon, Co. Donegal who scooped first prize. 2nd prize was €200.00 and the winner was Barry McMullen from Cootehill. It definitely was a lucky night for Sinead Daly because her name came out of the hat for the 3rd prize which was a meal for two in the Errigal Country Hotel. Alexa Boylan, from Rockcorry won 4th prize of €50 and finally Jenny Brennan from Corduff won €20. Congratulations to all the winners and a big thank you to everyone who supported the draw and many thanks to everyone who sold tickets. The numbers drawn on Monday 6th May were 2, 11, 12 and 16. There was no jackpot winner of €2,900.00. The following won €15 each :- Noel Craven, Clontibret (Yearly Ticket), Pat Clerkin, Rockcorry (Yearly Ticket), Stevie Lynch, Rockcorry, Eileen Calvert, Rockcorry, Seamus & Nuala Tate, Rockcorry (Yearly Ticket), Mary, Majella & Hugh, c/o. McGinn’s, Dwayne Rooney, Rockcorry, Damien Murphy, Aghabog. Next week the jackpot will be €3,000.00 and the draw will take place in Fitzpatrick’s. Thank you for supporting our Top 4 lotto draw. Congratulations to Tracey & David on the birth of their baby girl Megan.